Mugsy's Rap Sheet » Is the firing of Priebus a backdoor attempt to fire Special Prosecutor Mueller? Is the firing of Priebus a backdoor attempt to fire Special Prosecutor Mueller? 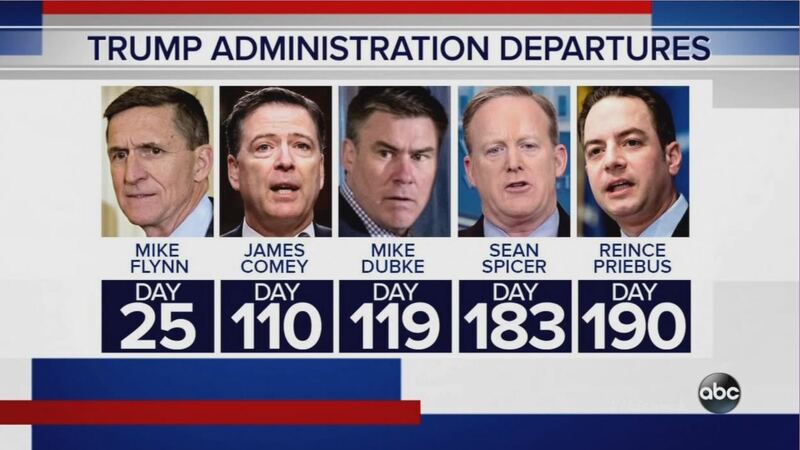 Last week was described as… not just the most chaotic of the young Trump Administration… but as capping off “the worst first six months of ANY administration” in the 241 year history of the United States (which, according to Trump, has been “the most successful first six months of any administration in history”… despite not having one single legislative accomplishment and Trump having gone back on nearly every major campaign promise.) “Worst six months” may be a bit of an exaggeration considering Abraham Lincoln’s first days were met with the entire Southern delegation seceding from the Union, but it’s gotta be right up there (Lincoln was a Republican by the way. Did you know that? Trump apparently didn’t until just last March.) 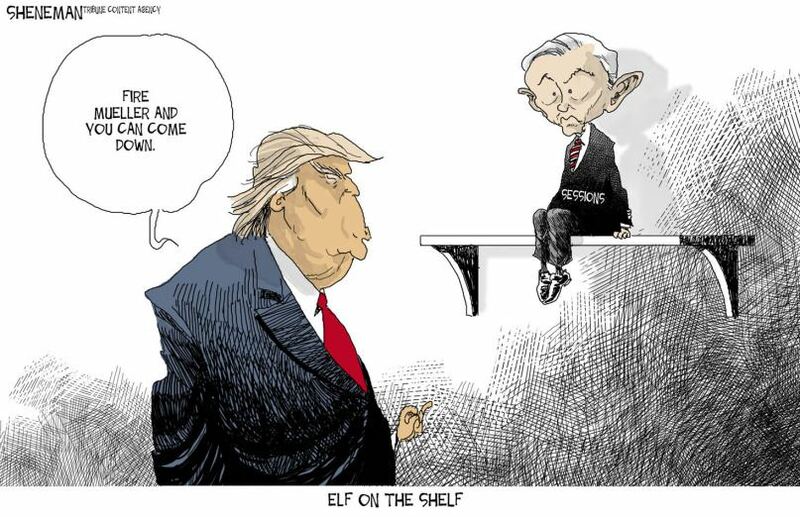 For weeks, Trump has been publicly lambasting his “good friend” Attorney General Jeff Sessions for agreeing to accept the job of AG back in February only to recuse himself from having anything to do with the Russia investigation by March. Sessions was the first (and for a very long time only) Senator to endorse Donald Trump. He traveled around the country with him and repeated Trump’s slogan that Trump would “Make America Great Again.” His reward was to be appointed Attorney General (the first appointment of the Trump administration), an appointment Trump praised. But when a Special Prosecutor was appointed to investigate possible links between the Trump campaign & Russia, Sessions was forced to recuse himself 1) because he was part of the campaign, and 2) Had failed to reveal his OWN contacts with Russian officials during the campaign. …with the latest being his Chief-of-Staff Reince Priebus last week just-appointed Communications Director Scaramucci. Priebus has always been in over his head in every job he’s had since he was still head of the RNC. He appeared on the Sunday talk shows regularly, embarrassing himself as he repeatedly tried (and failed) to sound clever and/or witty, with snarky responses about Democrats that always fell embarrassingly flat. But because of the Tea Party movement and a united Conservative front against Obama, the GOP Congress kept winning races in spite of him (though losing the presidency in 2012, and likely would have lost in 2016 as well had it not been for the last minute election chaos.) So it was probably only a matter of time before he was out as CoS, but the new Director of Communications, Tony Scaramucci, replacing Spicer, torpedoed Priebus, creating a vacancy. And the wheels started to turn. Trump hasn’t done it yet, but you KNOW that’s what his puppet masters have in mind. Members of Congress on BOTH sides of the aisle say that if Trump tries to replace Sessions with someone who might try to shutdown the Russia investigation, they say they’ll make him (pinky) swear that he won’t fire Mueller. Of course, you can always find an excuse after the fact. Accuse Mueller of being on a “Partisan Witch hunt”, accuse him of exceeding his authority, even claim “ethics violations”. Or just change the scope of his investigation, rendering him toothless. If they want Mueller gone, he’s gone. The GOP Congress might let Trump get away with moving Sessions, and even approve a replacement who “swears to God, hope to die, Stick a needle in my eye” not to fire Mueller. But if he does, even a Republican-controlled Congress would not be able to ignore this gross obstruction of justice, and 6 to 8 months later (despite the midterms), Trump would be impeached, and depending on the mood of the electorate, out of office by the end of 2018. And THAT is why Mueller is suddenly looking into Trump’s business dealings going back DECADES, and why only now Trump is complaining about Sessions’ inability to shutdown Mueller and the Russia investigations. The heat is on. Watch this space/vacancy.